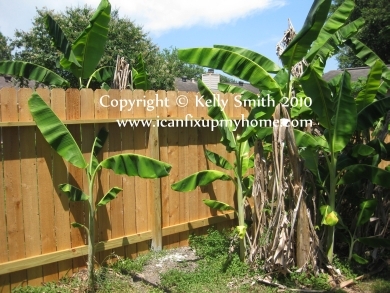 Having a privacy fence serves many functions but for most homeowners there are primarily three. The first is obviously the privacy issue; keeping prying eyes out just lends a sense of security. Secondly, a fence is one of the best ways to keep your pets in and others wandering pets out. Finally, to deter strangers, especially criminals, from entering your property. First you need to determine where your corner posts will be placed. Be very careful that you are certain of your property line. For each post dig a hole 28” deep and 1 wide (or whatever your local building code stipulates). Pour a bag of concrete in each hole one at a time and add and mix the water according to the instructions on the bag. Set the post in the center of the hole, wiggling it into the concrete all the way to the bottom. Use your level to ensure the post is plumb in both directions and brace if you need to. As soon as the concrete has set completely, run the string line from the center of the top of one corner post to the next. It is strongly recommended to only work between 2 corners at a time. Next you will set the in-between posts making sure they are 8 on center. Of course, the last one may fall short since yards are rarely in 8 increments. Thats to be expected. Run another string line from each corner post on the sides approximately 1 off the ground on the side the pickets will be on. By referencing both string lines it is a simple matter to pinpoint the location of each post. Dig your holes measuring down into the hole from the top string to be sure the hole is deep enough; the ground varies and it might be more or less than a 28” hole. Set the posts as before but do one at a time as the concrete dries quickly. As soon as your concrete has set remove the top string and nail 2” X 4”s flat across the top of the posts. Start the first one halfway across the top of the corner post so the boards will split the tops of adjacent post for nailing purposes. Now attach your 2” X 4” nailers vertically between posts on the side the pickets will go. Use the lower string line for a reference for nailing the bottom of the nailer. Toe-nail them into the posts or optionally buy galvanized stud hangers and use those. These boards will need to be cut to fit between the posts. Next nail up a picket onto the nailers on each corner post keeping the bottoms about 1” off the ground. Each picket should take 4 nails. Attach a string line from the posts to the top of the 2 corner pickets. Be sure it is taut because you will use it as a top reference for the in-between pickets. 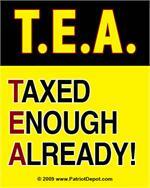 Now attach the rest of the pickets. Note that you might have to cut the final one narrower. Once this is done, follow the above steps to finish the section up to the next corner post. After working all the sections your project is complete. Do you have any fence-building tips? Share them with our readers in the comment box below.